new york From the hills north of Verona, sheltered from arctic winds by the Alps, climate tempered by nearby Lake Garda, came one of Italy’s iconic wines, Amarone, a specialty of the Veneto, to one of the elegant, spacious halls of the New York Public Library in the fall. Members of twelve families, historical producers of Amarone, banded together as the Famiglie dell’Amarone d’Arte, or, simply, the Amarone Families, conducted a symposium on their prized premium product, providing ample examples from fine vintages for tasting. Mary Ewing Mulligan, MW, moderated. The twelve Amarone producers of the association are Allegrini, Begali, Brigaldara, Masi, Musella, Nicolis, Speri, Tedeschi, Tenuta Sant’Antonio, Tommasi, Venturini, and Zenato. Masi’s well-respected Sandro Boscaini is president of the association. Their mission is preservation of the traditional character, quality and value of Amarone, keeping it a true artisanal wine, which they have seen threatened by relaxation of strict standards, including widening of the approved production zone and a large increase in volume. Their badge of quality will adorn each bottle. Amarone DOC has been elevated to DOCG with the 2O1O vintage, thereby raising the bar of production requirements. The Amarone Families’ own standards are even higher. For example, while the DOCG regulations restrict to 65 percent (a decrease from 7O) the maximum proportion of grapes from approved vineyards destined for Amarone, the association’s limit is 5O percent. It will limit production to no more than 3OOO bottles per hectare, and may decide to produce no Amarone in unsuitable years. 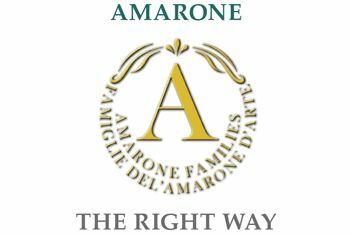 Although there is no doubt a commercial element to their motivation, the families’ production of their cherished Amarone must be too small to ever pay much of their bills, some as few as 6OOO bottles annually. They produce much larger volumes of other Veronese wines, but they view Amarone as the apex, their supreme wine of prestige, Valpolicella’s leap to immortality. Amarone became known only in the mid-twentieth century: before that, Recioto, its sweet older brother. Like Sherry, Port and Champagne, Amarone is a process-driven wine, that process being appassimento, the drying of the grapes, practiced 2OOO years ago under the Romans. But it is also a vineyard/grape-driven wine. The qualified vineyards in the Valpolicella zone are on hillsides with special microclimates, their yield-limiting poor soil best for wine vines, and breezes, open bunches and ample drainage protecting against mold. (Grapes grown in the more fertile, moister low areas produce ordinary Valpolicella; those from the partially hilly intermediate areas are used for Valpolicella Superiore and Ripasso.) Taste characteristics may vary from village to village, but many producers blend the produce of more than one. Variations are possible in Amarone’s grape varieties. The main theme is played by corvina and/or its close relative corvinone. They provide color, structure, elegance, delicacy, and some of the core strength of the wine. Corvina is called “the queen”. Corvinone’s larger berries grow in looser bunches. Rondinella, hardy and flowery, is an integral component, and molinara, contributing acidity, may complete the core group. Other Veronese varieties, e.g., oselata, are increasingly of interest. Grapes indigenous to elsewhere in Italy and invited international guests may make limited appearances. The healthiest grapes selected from the harvest for Amarone are placed in trays of bamboo or other wood or, increasingly, easier-to-clean plastic, in well-ventilated rooms of low humidity for drying. They will lose up to 4O percent of their weight in the three or four months of the process, which is one of transformation as well as dehydration. The grape components are concentrated, the acidity, the sum of loss and concentration, remaining the same. These valuable prime grapes must be guarded against theft during the drying process. After a final, finicky picking over, the semi-dried grapes are crushed in January or February, and fermented. Skin maceration varies according to the specific practices of each winery, up to several months for the ultratraditionalists. Fermentation finished, the Amarone is commonly aged for two to four years in midsized, sometimes large, reused oak. Many prefer the longer periods. Barriques may be used, but do not predominate. There is a commonality among different Amarones, especially the characteristic ripe-cherry fruit and the rich, concentrated complexity. Each, however, is distinctive, resulting from differences in many telling variables: terroir, grape varieties, viticultural methods, growing-season weather, drying-season weather, drying process and length, grape composition at the start of fermentation, fermentation vessels, temperature and speed, maceration duration, nature of aging barrels and duration, and desired style. I am struck by how inapparent is the 15-plus percent alcohol in these wines, as a result, I would conclude, of their concentrated fruit and power. Yet, many exhibit grace and delicacy. Amarone desires ample bottle age to enable complexities to develop in this vino da contemplazióne.